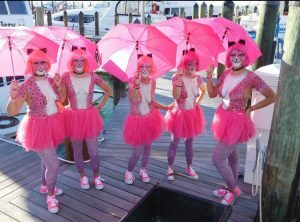 Fantasy Fest in Key West is NEXT MONTH!!!! Book your Zombie Bike Ride Face Painting Appointments and Fantasy Fest Body Painting in Key West Today!!! I use ONLY high quality professional make-up for body paint and face paint. Everything is safe for use on the skin and face. Airbrush make-up is used for Zombie Bike Ride face paint which is very durable and lightweight in the Key West sunshine:) Call for your appointment today with Jennifer Montgomery of CrazyFaces FacePainting serving Philadelphia to Key West 610.764.0853 Appointments are in clean, private, air conditioned studio space . www.jennifermontgomery.net See you there ! 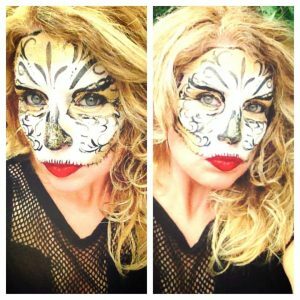 This entry was posted in Body Painting, face painting, Parties and Events and tagged 2018 Fantasy Fest, Airbrush Key West FL, Body Paint Apppoinment Fantasy Fest, Body Paint Fantasy Fest, Body Painting, Cats Body Paint Key West, face painter, Jennifer Montgomery Body Painter, Key West, Key West Artist, Key West Body Painter, Key West Face Painting, Key West Fantasy Fest, Key West Fantasy Fest Zombie Bike Ride, Zombie Bike Ride Key West. Bookmark the permalink.